A small, squishable pineapple right here on my desk. I did not put it there, I swear. Like most parents, I can handle a certain degree of clutter. You’ve got to be able to tolerate some messes if you want a peaceful home, especially in a family of five plus cat. But at a certain point, I can’t stand it any more, and I either move into manic cleaning mode, or resentful nagging mode. Or both. After teaching a class on joint problem solving many years ago, I brought the problem to my children and asked for their help. Together, we came up with a whole list of ideas. Following the rules of brainstorming, I wrote down every idea, no matter how stupid or unrealistic I thought they were. I offered my own idea: if you don’t clean up your mess, you have to clean the pots and pans that night after dinner. Another idea was to get a big cardboard box and put any mess (whatever kind) inside. 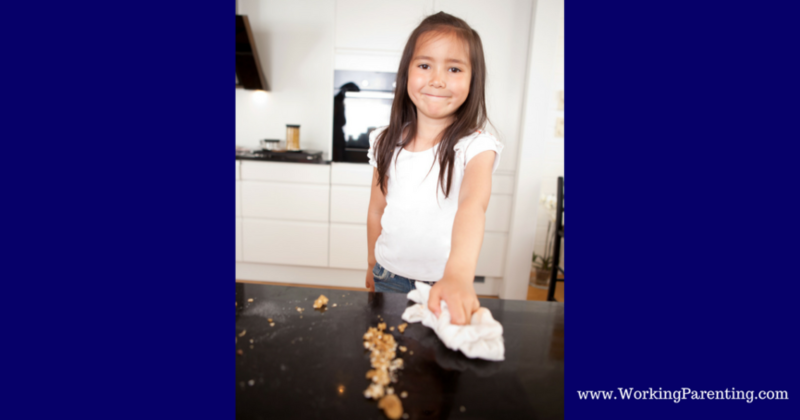 One of my kids offered this idea: “Whenever you see a mess that needs to be cleaned up, say, ‘Rub-A-Dub-Dub, clean up your mess.’” While writing this onto our list, I thought to myself, “That’s the dumbest idea ever. It will never work!” But I held my tongue and wrote it down. At the end of our brainstorm, as is our tradition, we voted on the options. 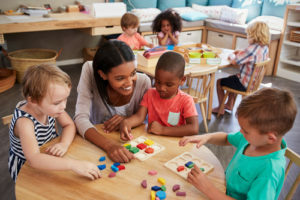 The children giggled happily as the winning option became clear: We had to say, “Rub-A-Dub-Dub, clean up your mess” when we saw a mess that needed cleaning. A heavy sigh signaled how I felt about it. But, we agreed to try it for a week, and see how it went. And I’ll be darned. . . It worked. Over and over again. This brainstorming session took place over 7 years ago and to this day, when I say “Rub-A-Dub-Dub in the living room (or somewhere else)” to my child, around 90% of the time they go straight to the place in question and clean up. Not kidding. Now, this phrase is unlikely to work as well for you. Why was (and is) it so effective for us? 1. The children came up with it themselves. David Rock, Founder of The NeuroLeadership Institute likes to note that “the brain likes its own ideas best.” That’s because we feel a sense of ownership, autonomy and pride since we came up with it ourselves. What’s more, our own ideas simply make sense to us. Children are much more likely to follow through when they either come up with, or choose the solution themselves. 2. It’s silly. The ridiculousness actually helps to lighten the mood for everyone. It’s always easier to cooperate when one is feeling calm and happy. 3. It’s unique. The fact that no one else understands this phrase makes it even more powerful. It bonds and connects us in our secret language. It’s funny . 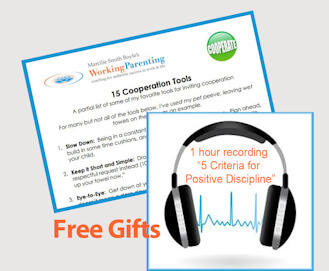 . . as parents, we often assume all responsibility for solving our kids’ behavior or other problems. But we don’t have to, and in fact it’s better if we don’t. Because not only may our kids’ solutions be even more effective than our own, but the whole process also allows children to get practice solving problems. That’s a skill they’ll need forever. 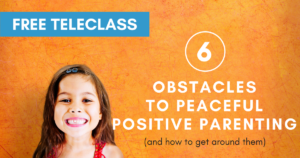 Read Your Child May Have the Solution to Unwanted Behavior for another example. I haven’t quite found the magic phrase for “do your own laundry.” Suggestions, anyone? 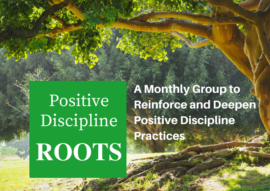 We’ll learn and practice my favorite process for joint problem solving and many other tools at the upcoming Parenting with Positive Discipline series, Peaceful Parents, Cooperative Kids. Starts Oct 3 in a virtual classroom so you can join from anywhere in the world. Find out more here. I always love to hear how this article landed with you. Leave your comments below. When my children turned 12yo they gained the privilege of doing their own laundry (of course, they had learned the skills by then). Although I continued to teach and assist, at times, they seemed to enjoy this independence and responsibility. Thanks for your comment, Mary! My children also have the privilege of doing their own laundry but one of them still has trouble with follow through. What tricks or tips helped your kids follow through with the laundry? I’d love some ideas! Great article but my 13 year old daughter’s response to “I notice a lot of messes in her room that I either clean up myself or get angry and tell you to. I’d like your help finding solutions to this problem. What ideas do you have?” was that she didn’t care if it got me angry and her room can be as messy as she wants because it is her room. As far as the rest of the house, she will do it when nagged but thought ideas were silly. It seems that my technique for when she was younger no longer works. Perhaps I am too late to change anything? Hi Karen, Oh dear, that sounds very discouraging. I don’t think it’s ever too late, though. Without knowing more about your relationship, my first thought might be to focus there: on your relationship . . . invest in doing fun things together, connecting in small ways like hugs, smiles, encouraging comments, helping her with something she needs. When children feel they can trust us and that they are unconditionally loved and admired, they are simply naturally more open to our influence (plus grow up to be more emotionally healthy adults.) It may also be that silly ideas don’t work for your 13YO, and it might work better to offer serious ideas, and of course ask her if she has any of her own. If she doesn’t, you can give her some reasonable options and ask her to pick which one she likes best. As for cleaning her own room, what’s important to you here? It might be helpful for you to clarify for yourself why this matters to you. Then you might have some more ideas about how to deal (or not) with her own room. I hope this helps! thanks for your comment, Sarah! I whole-heartedly agree with your suggestion. Thank you!